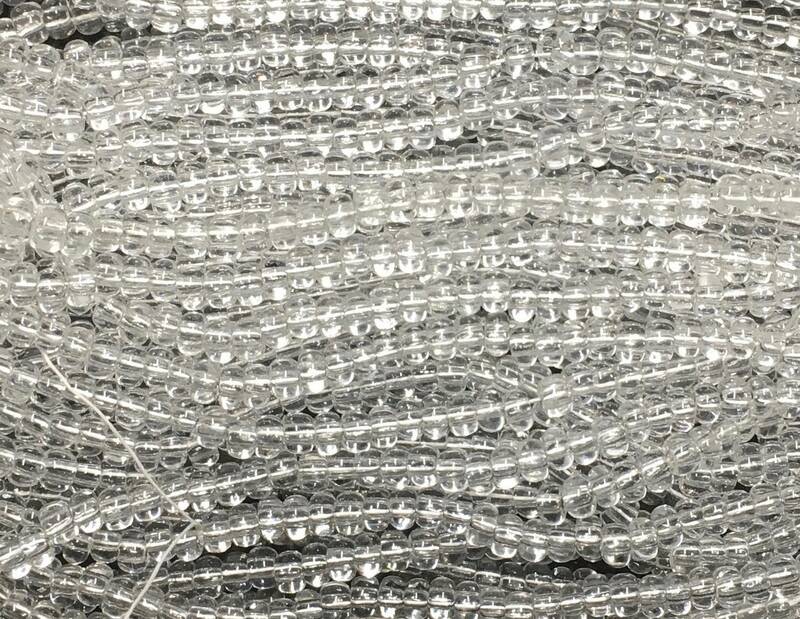 Transparent Crystal 1/0 Czech glass seed beads. Size 1/0 beads measure between 6 and 6.5mm in diameter. There are about 5-6 beads per inch. You will receive one strand of beads (approx. 105 to 115 beads) - around 30 grams with a hole size of 2mm (note that hole size varies from bead to bead so some could be smaller than 2mm inside diameter). There are plenty of beads for your beading, knitting, crochet, macrame, fiber arts projects! If you are unsure about whether or not these beads will fit with the cord you are using, contact me before purchasing! !